The long anticipated addition to the Shift Series has just arrived and promises to go beyond Premier Line standards! Completely reconstructed, the new Gravity Shift sports the reformulated R2X coverstock - an enhanced version of it's predecessor the R2S - which uses special blends of materials to provide outstanding durability and exceptional performance. At the heart of the Gravity Shift is the new Shape-Lock HD (High Density) core. Increasing the density value and lowering the core volume effectively produces superior mid-lane roll and handling. 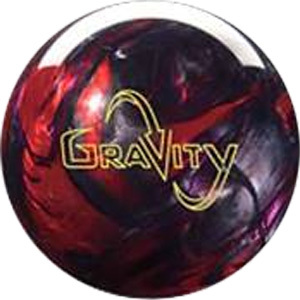 The Gravity Shift produces outstanding performance in the ever-changing modern lane conditions and promises consistent ball reaction. By the time your opponents' realize the Gravity of their situation...it'll be too late! Disclaimer Affiliate links from bowlingball.com used on this page.